Since the word leadership is the purpose of this post, I would like to start with a simple definition. 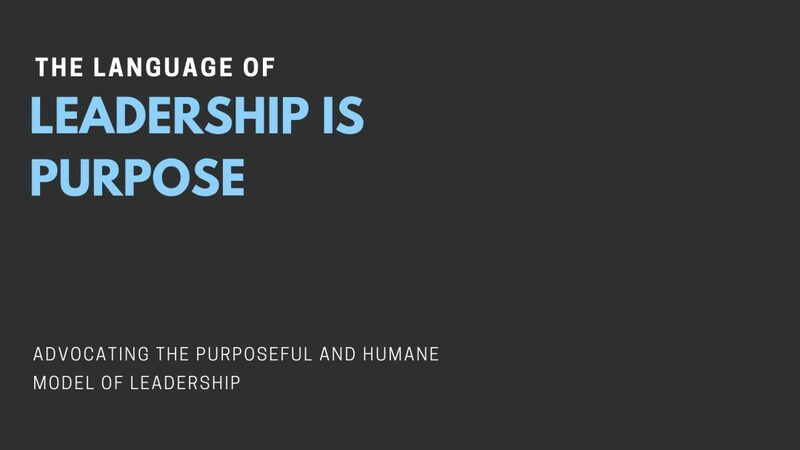 Leadership is using the power of purpose by leaders to do great things for people, inspire them to join and advance the cause and genuinely look after them while doing that. The question of whether leaders are good or bad hinges on applying this definition. Although I strongly presume that this definition gives a new perspective into the right model of leadership which is the purposeful one. I am not blind to other definitions and interpretations providing the purposeful and humane aspects are there. The missing link in most organizations around the world is the absence of the purpose language that its absence reinforced the continuity of the factory model of management and spurred the process of dehumanization. The absence of purpose is simply the absence of great leadership. Does that mean that the absence of purpose in the business ruins the whole show? Yes, it does. The downsides are very significant. The negative impacts on people’s lives are the direct results of purposeless and inhumane managers and leaders. Purpose is a fundamental built in component in great leadership. If you understand the power of purpose, you can incredibly understand how its transforms the whole business and yields positive impacts for all. Let me put this way, if people are not the true beneficiaries of great purpose and leadership, the players are sole manipulators, bad managers and dehumanizers. If people are the purpose, the players are great leaders. This is how you view and understand great leadership in business. Posted in Business Posts.Tagged business, Entrepreneurship, inspiration, leaders, leadership, purpose. Previous Post Leaders’ development not organizational development. Leaders’ behavior not organizational behavior.